Another world and another Zeke Quest. Your first location in Valencia will be to Captain Steed. 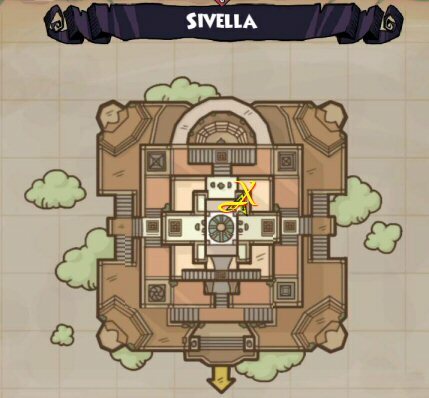 You’ll receive a quest from him to visit the Sivella Academy. Like most of the places here in the Pirate Spiral, there are two sections to the island, the dock and the main section of the island itself. You’ll find Zeke on the right side of the docks, before you run down the stairs to the gondola. Thanks to our Portal visitors for helping us share where the gulls are! This time it seems Zeke was collecting seagulls for a customer. He nabbed the last one and when he went to put it into his cargo cage, he realized he left the door to the cage open. And all the seagulls he collected had escaped. Well that was inconvenient. So of course he’s asking for your help again. Now you’d think with all the help you keep giving him, he’d give you a cut of the action. Well I guess since he does give you a training point, you’re getting something for your trouble. 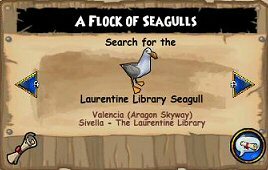 There are 6 seagulls to find around Valencia, starting with Sivella and the Laurentine Library. So when you get the quest, you’ll have 2 birds to find right away. As with most Zeke items, you must complete certain tasks in some areas in order to be given a quest to enter another area where you can hunt down the next king. So don’t think you can get the quest from Zeke and then set off to find the statues. For the first bird, simply keep going up the stairs of this massive building. You’ll find the bird on the top level of the pyramid. When you reach the top you’ll be facing a set of 3 doors. Go to the right, run behind the stone bench and you’ll see the bird sitting on the stone corner railing. 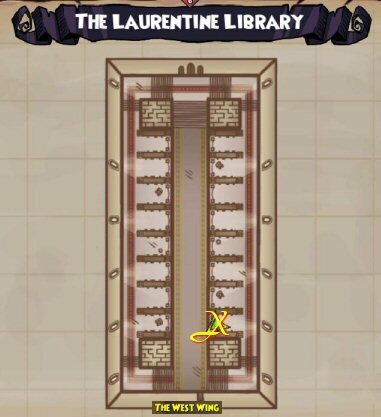 When you receive the quest to find the West Wing of the Library, be ready to grab the next bird. When you first enter the library, turn to the right immediately from the door. Go up the stairs and look in the first alcove of book shelves. You’ll find the bird sitting on a table. Now that you’ve been sent back to talk with Steed, you’ll be able to grab the next bird. 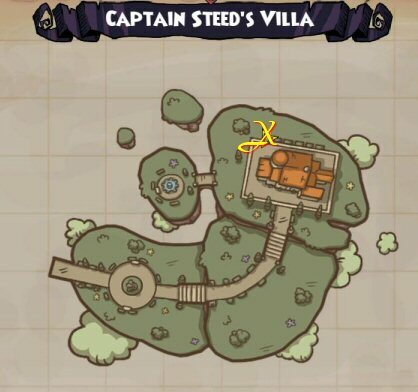 Run behind the villa itself and you’ll find the bird sitting on a bush. He’ll be behind the left corner of the building (if you’re looking at the villa from the front door). The Bird is up the stairs sitting on a crate by a cannon. You don’t have to engage the Armada soldiers to reach it. Hug the walls and you’ll get there. However….On my first trip up the stairs I didn’t see a crate or canons. And when I reached the upper level it was open to the sky outside. I even took a picture of my first mate and I that I thought was very kewl. I gave up and went on to the next island and came back to find the bird. When I did return and went up the stairs, the area was different. It was now enclosed with a wall. And there he was. You can’t miss him regardless of which stair case you go up. When you get to the quest to find the catacombs, be on the look out for the bird. When you get to the entrance of the catacombs, go up the small dirt hill to the Art piece, it’s a golden globe. The gull will be on a crate to the left. When you enter the catacombs, go to the alcoves on the right. Hug the wall and you’ll avoid getting in a fight with the Armada Guards. You’ll find the bird in the second alcove behind the right sarcophagus. He’ll be on the floor and it’s a bit dark in there, so don’t run him over. Good Luck or Congratulations For Finding All The Seagulls! 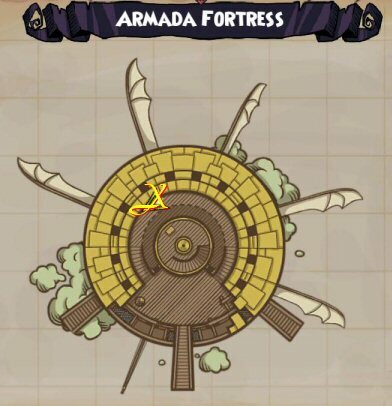 The Armada Fortress: Upstairs, on a barrel, next to a cannon. Did not have to engage in a fight to reach it, just go carefully along the wall. Thanks for the heads up on these! 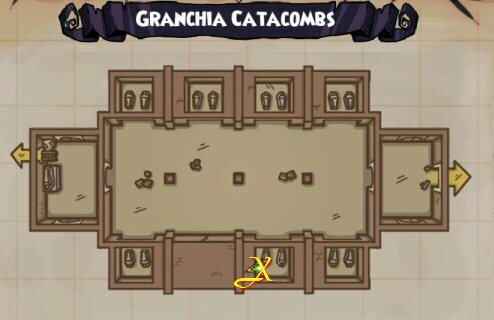 Granchia Catacombs: In the large hall, go right, the second alcove on the right behind one of the coffins. It’s sort of dark so watch out or you will miss it. 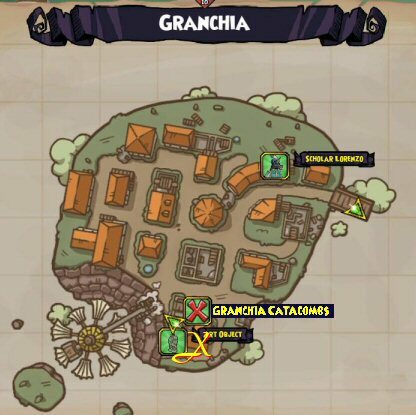 I’ve looked and looked for the one in “Granchia” and have been unable to find it. Hope you have better luck and I’ll check back later. Thanks for all your help! on the armada fortress you just went up the wrong stairs there are 3 sets of them. on your first trip you went up the center stair’s. so its not a glitch the second time u just went up the outer stairs and dint realize it. very nice guide though; personally i dislike extra details or pictures as i read everything before setting out and its just time consuming just a little constructive criticism.